China: we spend too much time worrying about its ascendancy as a global superpower and not nearly enough time eating its delicious dumplings. 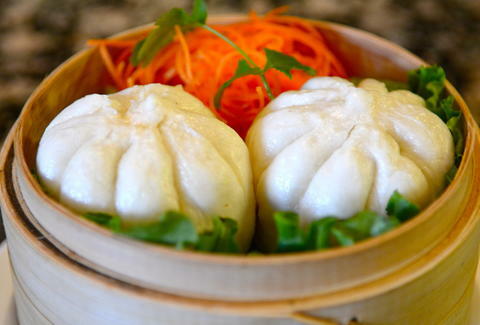 Fix that by devouring DC’s best Bao Bao-endorsed (we assume) dumplings. 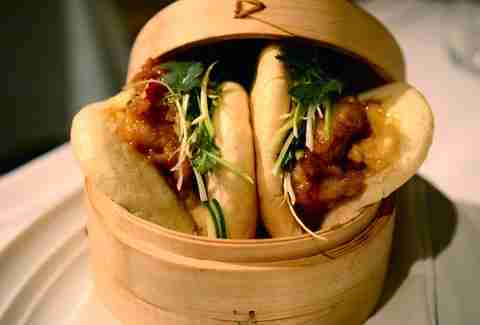 For the best dumplings in DC go straight to The Source, where two-inch thick bao buns cradle sticky fried lobster. 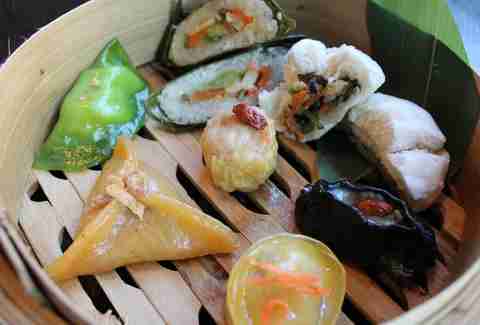 Pick up these girthy bundles of tastiness from Scott Drewno, and you can snag them along with four other dishes for just $32 at their Saturday Dim Sum Brunch, which might make Bao Bao reconsider that bamboo diet. 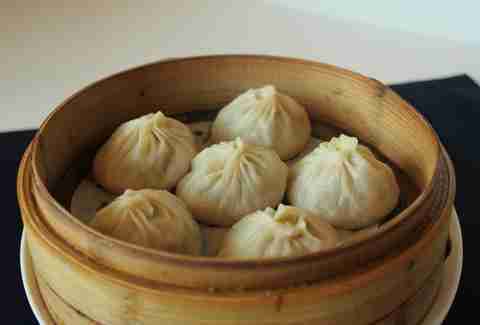 Try and work your way through the whole menu -- griddled, steamed, fried, and baked -- but make sure you don't miss their fresh take on xiao long bao (those delicious bursting soup dumplings). Please resist regaling your dining companions with Thailand ping pong stories. If you don’t follow, it's for the best. Yes, it smells a little like wet dreadlocks thanks to too many disparate proteins being cooked under one roof for decades. However, the shrimp dumpling soup is so comforting it'll make you forget about any unpleasantness, olfactory related or otherwise. That is, until you run out of dumplings. 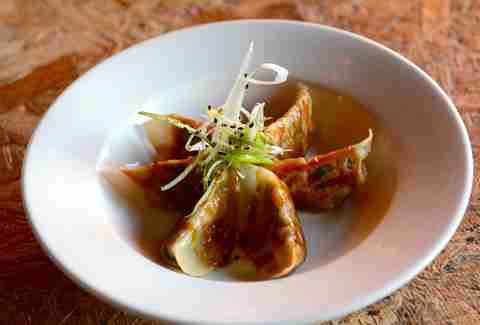 We’re not dumpling discriminators -- Japanese gyoza deserve some love, too. 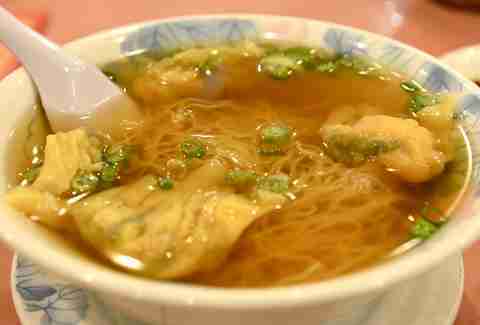 Every proper noodle shop in town offers gyoza to tide ravenous ramen eaters over until their bowl arrives. Toki Underground just happens to do them the best. 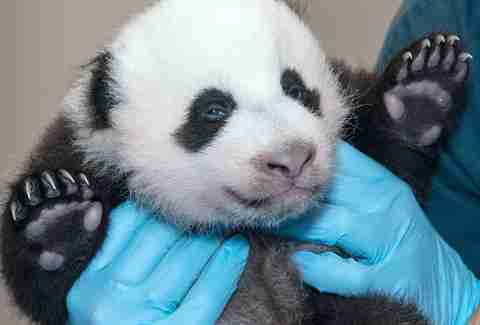 Their pouches are packed with meat and a pleasantly surprising amount of heat before getting pan-fried. Choose from beef, pork, chicken, veggie, or seafood. Pro tip: get there early to beat the line and eat ALL the dumplings. You’ll find Peter, one of DC’s hardest working bao builders, dishing out freshly filled buns from a cart outside of the Discovery Channel building. 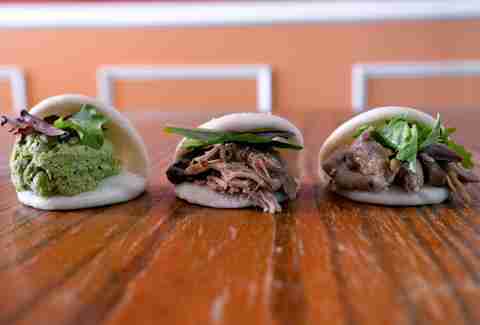 The Shanghai native says his duck, pork, and edamame puree baos are packed with "super food" health benefits. Which is all well and good, but you'll be more interested in the sticky onion marmalade they're topped with. Bonus: they cater. We’re giving them the official tagline "Your Mid-Atlantic XLB Headquarters" because they crush it at the aforementioned tricky delicacy. Use a pointy chopstick to pop it open, releasing soup onto your spoon for slurping before daintily (or not daintily) eating the dumpling whole. Don't bother asking who Bob is. Some things are best left mysterious. 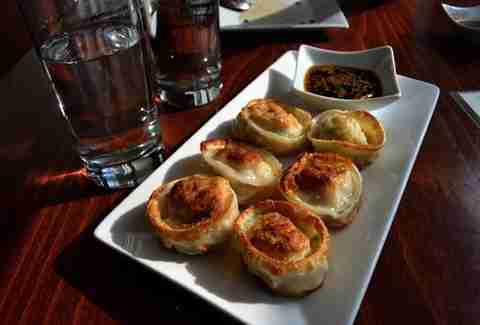 The only thing that tastes better than a Mandu dumpling is a Mandu dumpling during happy hour. So get a set of cylindrical Korean dumplings for $4 every day from 4-7pm and take your time soaking up the dipping sauce. Come check me out from 10am-430pm, but expect lines longer than at Toki Underground. I’m worth it.